Use of Smartphones in healthcare is the latest intersection of Technology and Medicine. These inexpensive handheld computing devices allow users to download third party applications (apps) which can perform specialized tasks. Most Smartphones run on either the Apple iPhone’s iOS or the Android OS and there are literally tens of thousands of medical apps available for either of these operating systems. Clinical care is information intensive and some of the most commonly used mobile applications by physicians are for medical reference. By providing the latest evidence based medicine updates at the point-of-care, Smartphones are proving to be a very important tool for improving quality of healthcare. 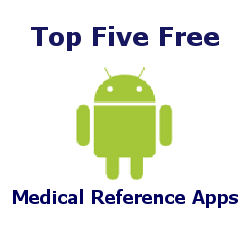 At Plus91, we have made a list of Top 5 Free Medical Reference Apps For Android Smartphones which physicians can use everyday for clinical purposes. 1) Medscape : Medscape is a popular web resource for physicians and other health professionals. This is a must have application which provides offline access to clinical reference tools like Drug Reference, Disease & Condition Reference and Treatment Guide, Procedures Reference, Tables & Protocols Reference and Drug Interaction Checker. 2) Skyscape Medical Resources : Founded by a group of Indian innovators, Skyscape is a worldwide leading service for providing trusted medical information via mobile devices. The Skyscape portal provides a number of free as well as paid medical apps for almost all specialties. 3) Epocrates : Epocrates is a publisher of mobile device software applications, designed to provide information about drugs to doctors and other health care professionals. The Epocrates application is the most popular of its kind providing a huge amount of information about pharmaceuticals. 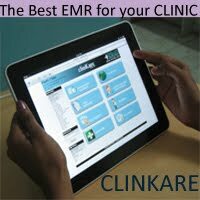 Regular use of this app can definitely help reduce errors in drug prescriptions. 4) PubMed Mobile : An uber useful app by the National Library of Medicine, PubMed Mobile allows the user to search its database with over 21 million citations for articles and journals, save articles and searches, view abstracts, and export selected abstracts and citations for future use. NLM also provides a number of other mobile optimized tools and apps. Check the NLM Mobile Gallery here. 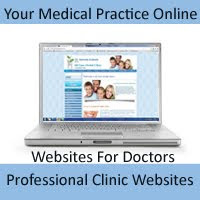 5) WebMD : WebMD is the leading health information portal of the United States. It was founded in 1996 by Jim Clark and Pavan Nigam as Healthscape, later Healtheon, and then acquired WebMD in 1999 to form Healtheon/WebMD. The free app provides access to information regarding health and health care, including a symptom checklist, pharmacy information and drugs information. The following is a guest post by Dr Neelesh Bhandari.